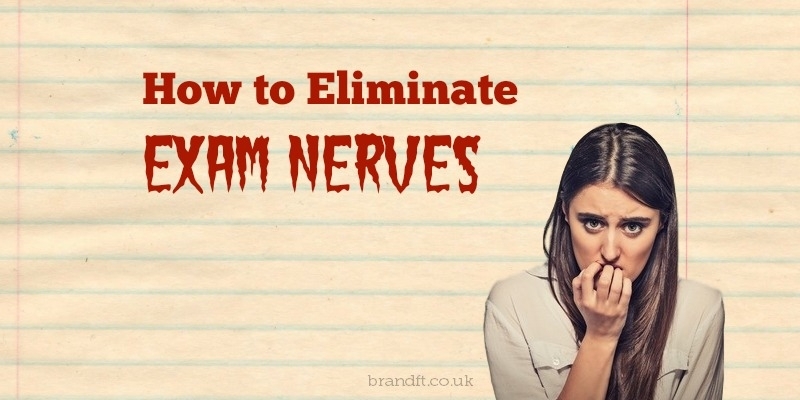 In this article, You’ll learn two strategies for avoiding exam nerves in the exam room, and in the days and weeks leading up your financial services exam. When you’ve invested so much time, effort and money, revising for your exam, and you feel under pressure, it can be hard to not get stressed, not just in the exam room, but in the days and weeks leading up to your exam too. But of course, you need to avoid getting your knickers in a twist, because when we’re stressed, we can’t think straight, and that’ll put the kibosh on your revision and also your ability in the exam itself to recall the information you’ve learned. You see, to think clearly, you have to draw on your working memory – the holding space where ideas and facts are manipulated. Unfortunately, worrying thoughts take up some of this holding space – hence fewer resources being available for thinking. For some people, the scariest exam is the multiple-choice (or ‘multiple-guess’ as my Financial Adviser friend calls it! ); it really gets the pulse racing and the palms sweating! But you can only do that if you’re really clear on what the question’s asking you in the first place! The multiple-choice questions can be hard, especially because the options to choose from can become a blur if you can’t think straight. So I’ve got two recommendations for you: one, the Anxiety Dump, for eliminating nervousness leading up to the exam, and the other, a Relaxation Technique for calming yourself down in the exam room. Spend 10 minutes, whenever you feel anxious, writing about your worries. Yep! That’s right! Write them down! You might think that this exercise would actually make you feel more anxious – but over and over again, research has demonstrated that the opposite is the case. It actually has the effect of your ‘offloading’ – thereby clearing a space in your working memory for the important stuff. This technique is sometimes used in therapy, for anxious and/or depressed people, and exam scores also go up when students are encouraged to dump their negative feelings in this way. You will have heard me say that copying word for word from your text-book, as a revision strategy, doesn’t work. It’s because, the more we write, the more we forget! So don’t do it if you want to remember something, but do do it if you want to forget your worries, leaving space in your head to be brilliant! 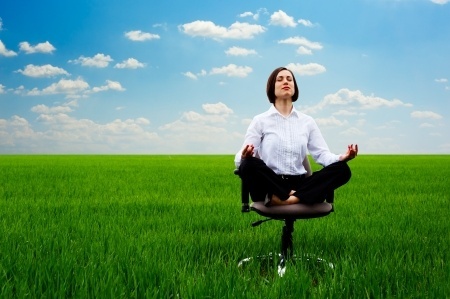 There are many ways you can get yourself into a calm and relaxed focused state, and one of the simplest is to deliberately take long deep breaths in, letting the air out again twice as slowly as the in-breath. Do this a few times, and it’ll really help. Make sure you don’t overdo it to the point of feeling faint! Practise, practise, practise so that when you need to use this technique for real, you’re already an expert, and your automatic, unconscious mind will know exactly what to do and what it’s trying to achieve by the time you get to the exam room. Do this every time you sit down to revise, and it’ll ‘anchor’ your calm, focused state, so that by repeating the exercise in the exam room, you’ll recreate your ideal state of relaxed concentration. Research tells us that you’re more likely to retrieve the information if you’re in the same state as when you were learning it.